I am so happy and thankful that I have this blog. Starting the blog about 8 years back was the best suggestion K could have made to me then. She was tired of listening to me talk about food, and of my venting about restaurants to her, and said that I should open a blog and write about what I had to say instead of chewing her head. Little did we know then that this would years later allow me to move into a life where I could actually live my passion. The beauty of a blog is that it is your own space and you can do exactly what you want. So there is no need to write posts, if you don't want to, on the top ten food trends of 2015, top ten restaurant launches of 2015 (I've done a couple of such pieces for publications/ sites I write in), top ten food gifts to give on Christmas/ new year's eve, top ten places to bring in new year's eve, top ten ways to throw a new year's eve party, top ten ways to get smashed on new year's eve, top ten ways to recover from a new year's eve hangover, you get the drift. There is a certain sameness to the topics that you see on different food sites at this time of the year. Having worked with a few external sites myself, I know how it works. SEO teams figure out trends that get hits and then writers are asked to write to these themes. I am sure this strategy works as seasonal listicles must be getting a lot shares. More than anecdotal feature based blog posts I guess. Though I saw one piece on 'top food gifts to give this Christmas' start with Christmas cake (!). Possibly the writer was fed up with the pressure from the editorial staff and gave this BGO (blinded glimpse of obvious, a term I picked up in my ad agency days). Blogs were once meant to be a canvas for personal stories though now there are some food blogs where the cooking and writing for the blogs is outsourced. SEO searches drive blog posts and blogs too have top ten eats of 2015, top ten recipes of 2015 sort of posts these days. Nothing wrong with this. Social media and blogging is an evolving media and there are no rules. The beauty of blogging, after all, is that you can choose any path you want to take. Thankfully "that's what the public wants" does not have to be at centre of what one writes on a blog. I confess that I did mull with the idea of doing a top eats of 2015 for the blog but it's been a long year and pulling these out from memory is a lot tougher than a software doing it on the basis of click throughs. I did try the Instagram #2015BestNice software. Here's the link to my instagram account, TheFinelyChopped. Please do follow. In any case, the food memory that is clouding my mind these days is the rat I heard squeaking by my side in a five star hotel restaurant just after their executive chef there explained to me how well their vegetables are washed. More on that in another post and no, I am not taking names. So I decided to reflect on my year in the world of food instead in this post and I was left with a feeling of deep gratitude after writing it. I think 2015 was the year in which my exploring the world of food writing professionally came into its own. A year where 'winter turned to spring'. This is the year I launched my YouTube channel, The Finely Chopped . Please do subscribe to it. I hosted Adda With Kalyan, a food based chat show on the India Food Network, and spoke to luminaries from the world of food on very interesting topics. You will find the earlier episodes here. I got on board the India Food Network as the editor at large. Conceptualising a site from scratch and building it as a site dedicated to the world of Indian food has been a great experience. As has been working as a consulting critic and writer with a food start up, Eazy Diner, and getting to work with Vir Sanghvi, a food writer and journalist I admire. Exploring Indian food traditions in my column for NDTV Foods has been a fascinating experience. It has added a new dimension to my writing which I have enjoyed. You will find my NDTV articles here. 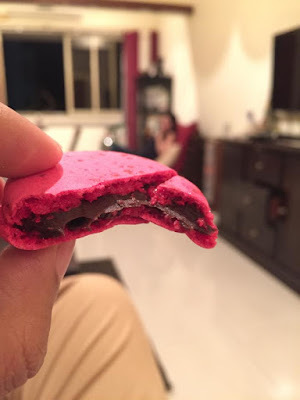 Writing for various sites and magazines (MW Magazine, Femina, Mumbai Mirror) with different orientations helped me expand my writing repertoire and try out different style and hopefully bring in some freshness to the blog too. Working with the Madrid Fusion and Host Milano events has helped me learn about what's happening in the global world of food and convey the Indian food story to the world at large. It was great seeing my nominations of Mumbai food favourites - Aaswad's missal pav (world's best veg dish) and Sneha's beef chilli fry (best beef dish in Asia) - win in the global Chowzter global awards bringing these city icons into the limelight. Winning the best food and travel blog in the FBAI awards for the 3rd consecutive time since the awards were launched was gratifying. This has also been a year where one was has worked with social media agencies for brands through professional engagements. It has been interesting to see how this new world has evolved. Being a marketing professional (I still work as a consulting market researcher) it has been interesting to see how rules from brick and mortar marketing translate into the dynamic world of social media marketing and engagement. At times there has been a pushback from readers/ social media followers on this and I realised that it is important not to lose one sense of balance and more importantly to not forget the spirit of what one believes in and stands for. One thing I have cut down on is my food walks. Those were a big part of my year in 2014 but have taken a bit of a beating since my hands have been full. At the heart of everything I do is my blog, Finely Chopped. Whatever else changes in my life, Iknow that my blog will be there and what keeps me going is each of you who read the blog. So what about the recipe I promised in the title you ask? I have cut down on my cooking over the last couple of years. Our cook Banu picks up my instructions well and lands dishes like alu posto and machhed mudo diye daal which I used to make once. I often do grills at night but not as much of experimentative cooking as I used to once. I rarely cook now when we call people over. This 31st December night was different. We called a friend over and decided to spend a quiet night at home. K and I were down with bad throats and cooking at home, where we could be in control of oil and spice levels, made more sense. Our friend is off carbs and wheat so cooking at home made us easier to stick to those restrictions. I put together a simple three course menu for us. It was good to cook for a 'party' again. Not that I spent too much time in the kitchen for it. I never do. I think I started at 8.30 pm on 31st night and was out by about 9.15 pm. I am a fairly clean cook so the kitchen wasn't in a mess might I add. Our first starter was really simple. Unbranded, but flavoursome, sausages from Jude's Cold storage in Bandra's Pali Naka, which I tossed in a pan. Didn't require any oil, seasoning or flavouring. Tasted great. Pork of course. I will specify when it's chicken. 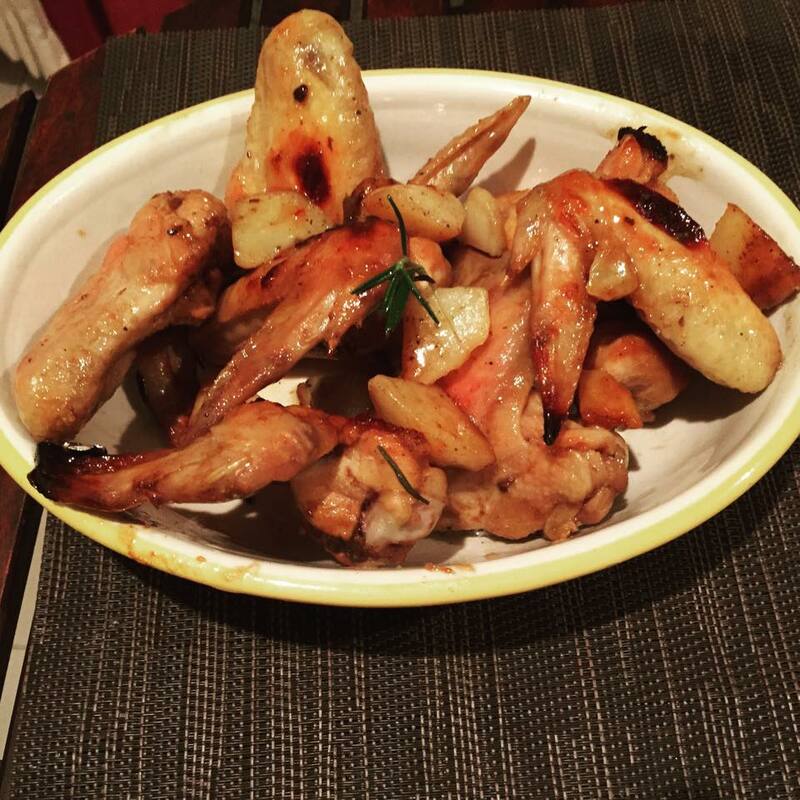 Talking of chicken, our next starter, featured chicken wings which entered our kitchen after ages. Just before I started cooking the main dish of mutton (more on that later) I marinated the chicken wings in sea salt, honey, the garlic infused olive oil from Australia that Kunal gave me, the spicy tamarind barbecue sauce that Amrita Rana of Life Ke Recipe made and gave me and fresh rosemary herbs from the plant, my secret santa, Radhika gave me. The chicken wings were marinated for half an hour in an aluminium foil after which I put it, wrapped in the foil on a tray, in a preheated oven (10 min at 200 c) for 15 min at 200 c.
I then took out the tray, uncovered the wings, turned them around and put it back into the oven for another 10 min at 200 c.
It acquired a nice browning at the end of cooking. We ate these half an hour later and I tossed the chicken and the jus into a pan and tossed and served it. Tasted pretty delicious. Wasn't fried or spicy and was sore throat friendly. For the mains I made an Indian dish. The meat of choice, mutton. The brief to me was 'can't be spicy'. A brief that was had given to Dum Pukht at ITC Maratha when we ate there last weekend and yet even the yogurt based rezala there had chillies (surely a five star can not put chillies and make a dish from scratch) and cheese for some reason. The good thing though was that the chicken was juicy as they use only chicken legs. Inspired by dishes such as the rezala at Dum Pukht and jeera chicken in Khane Khas and most importantly the Parsi white chicken my mom in law makes, I used the bag of cashews lying at home from a Diwali gift box to make an indulgent mutton dish which would be flavour packed and yet not have a hint of chilli in it. Yes, you can make 'Indian' food, and tasty stuff at that, without chillies. So here's the recipe, folks who know us, and some PR folks with directories, will know the secret behind the name. After 30 seconds add the onion and stir for about 4,5 minutes till it browns. Close lid of pressure pan/ cooker. Reduce the flame and let it simmer with the lid shut for 3 minutes. 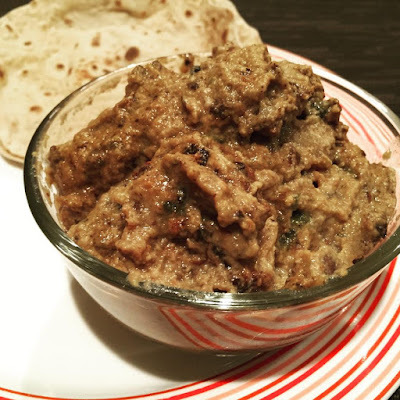 The end result is a thick and flavour packed yet soothing and creamy past with soft mutton and this is best eaten with simple rotis. Hi...came across your blog name while flipping through an old copy of Femina (which had a feature page on you) . After 18 years in the corporate world me and hubby are planning to start something of our own around a traditional "kala masala" with my mil's recipe.